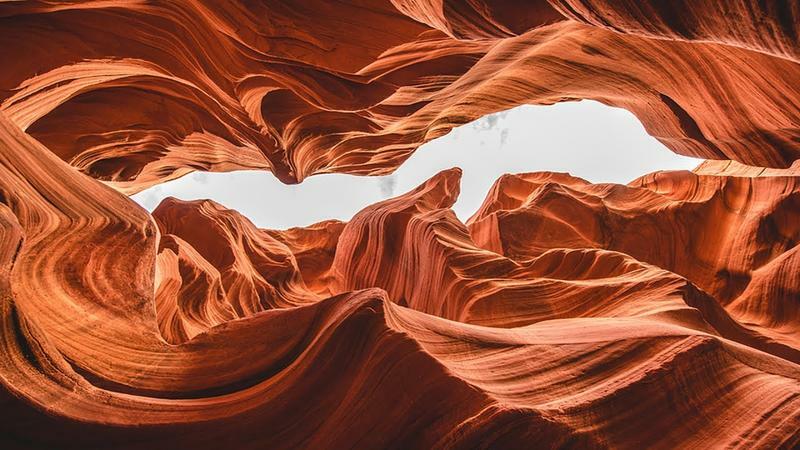 There is an other-worldly place in Page, Arizona, where flash-flood waters have carved two hidden slot canyons of such extraordinary beauty out of the terracotta stone that you would swear you are on the surface of Mars. Antelope Canyon has become a bucket list destination and a favorite photography location for the Instagram traveler. 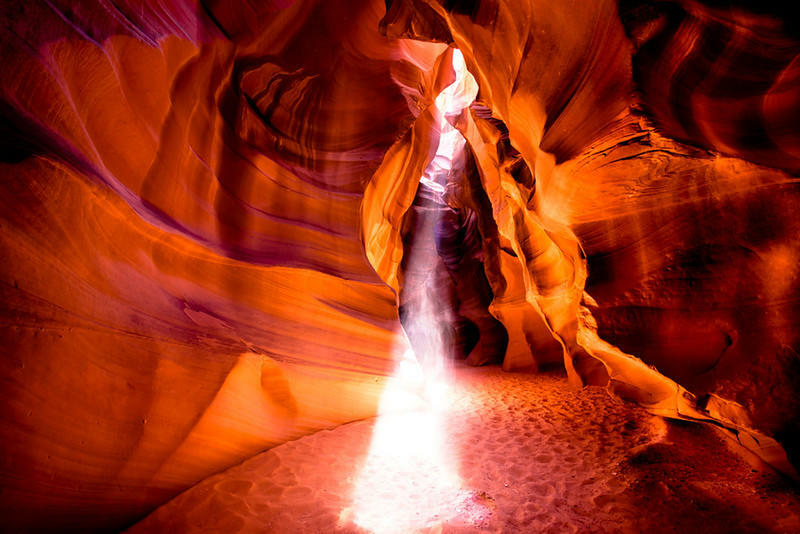 The most expensive photograph ever sold, taken by Peter Lik, features Antelope Canyon’s famous shafts of light. But the canyon is as dangerous as it is breathtaking. In fact, in 1997 eleven tourists died in a surprise flash flood that swept through the canyon. 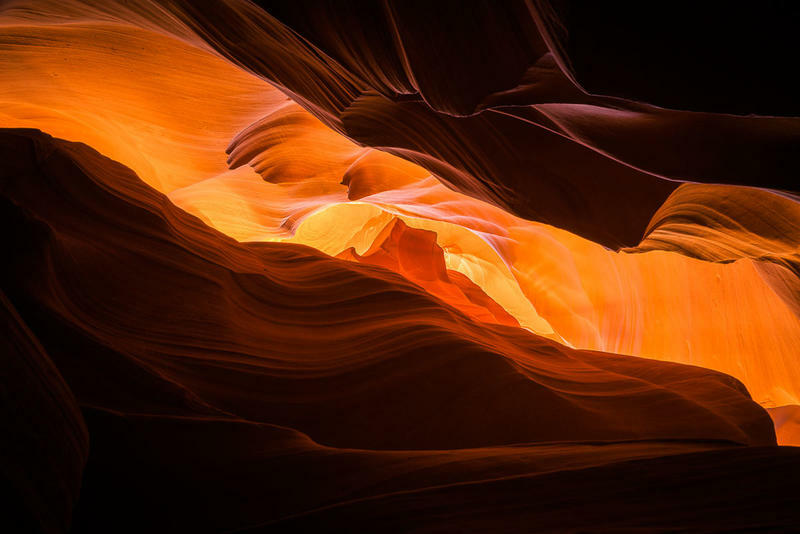 Let us look at the magic and danger of the beautiful and deadly Antelope Canyon. Slot canyons and regular canyons, like the Grand Canyon, are both carved by water, but in the case of slot canyons, that water is not the gentle flow of a river, but the fast and furious flash flood waters. The flood waters that created Antelope Canyon come from thunderstorms over a mesa some fifteen miles away from the canyon. The run-off, following the path of least resistance, roars down the wash and funnels into fissures in the ground…the sandstone remains of prehistoric sand dunes…where the swirling water carved the unusual curves and juts of the canyon. There are actually two slot canyons at the Antelope Canyon site, the Upper Canyon and the Lower Canyon. The entire area is located on land owned by the Navajo Nation, whose people have lived there for hundreds of years. 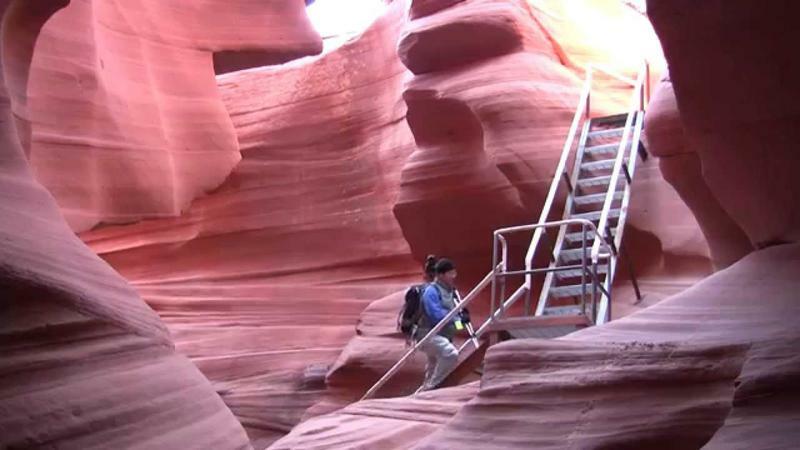 The only access to the canyons are though guided tours with knowledgeable, personable Navajo guides. The Upper Canyon known in the Navajo language as “Tse bighanilini”, or “the place where water runs through rocks.” More people visit the Upper Canyon, for two reasons…the entrance, exit, and canyon floor are all at ground level, and because the narrower opening at the top allows sunlight beams to shine into the canyon in eerie, spooking shafts of light. The Lower Antelope Canyon, called “Hazdistazi” in the Navajo tongue…meaning “spiral rock arches”…requires visitors to climb up and down a series of staircases and the canyon floor is narrower. The striking orange-red of the rock walls, the intricate shapes, and the stunning shafts of light streaming into the canyon have made Antelope Canyon a mecca for photographers and Instagram adventurers. For serious photographers, there is a special photography tour that is available at a higher admission price. But this tour has a limited number of people, allows photographers to bring in tripods, and gives the photographers more time to shoot. The regular tours are less costly but they usher through a lot of visitors at a time so it is difficult to get pictures without random strangers in your shot. 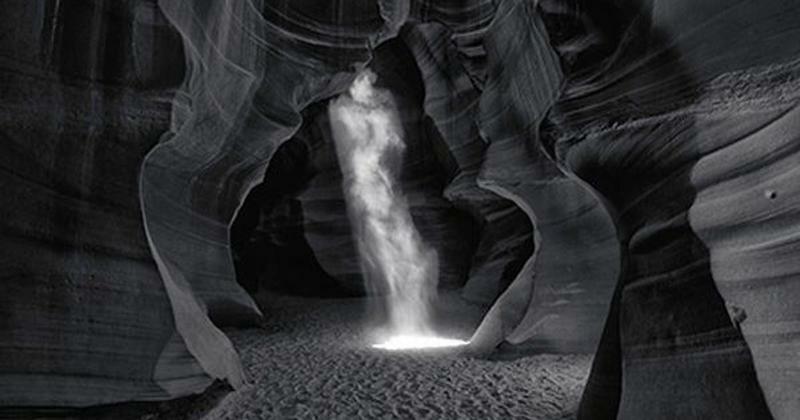 Photographer Peter Lik took a black and white photograph inside Antelope Canyon that shows a light beam playing on dust and sand that pours into the canyon’s slot opening. In this image, however, there seems to be a ghostly figure in the light beam. In fact, Lik has titled this photograph “Phantom”. A private collector purchased the photograph for a staggering $6.5 million, making this image the most expensive photo ever sold. An accident in Antelope Canyon in 1997 reminded the public about the dangers of the slot canyons. Eleven tourists and their guide entered the Lower Canyon for a tour through the majestic canyon. They descended into the ground via a wooden ladder. Unbeknownst to them, a sudden storm more than 15 miles away was saturating the ground and the run off was pouring down the mesa to the wash above the canyon, picking up more water, small rocks, and plenty of momentum as it went. A wall of flood water, ten feet high and 200 feet across, barreled down on the canyon. 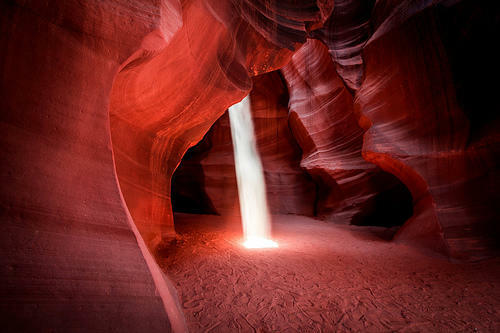 When it struck Antelope Canyon, it quickly floored the canyon with 30 to 40 feet of swirling water. Some of the victims were found drowned inside the canyon and others were washed out into the valley. Two more were found the next day in Lake Powell. The only person to survive the flash flood was the tour guide, Poncho Quintane. The force of the flood had striped all of his clothing from his body and blasted his skin raw. Since the deadly 1997 flash flood, the Navajo Nation has taken measures to ensure the safety of visitors to Antelope Canyon. Well-built, metal staircases are positioned at various points to facilitate a quick evacuation if needed. The guides have also been trained to keep an eye on the skies and the weather forecasts. Even if it is sunny and cloudless above Antelope Canyon, they may halt tours if storms pop up further away. 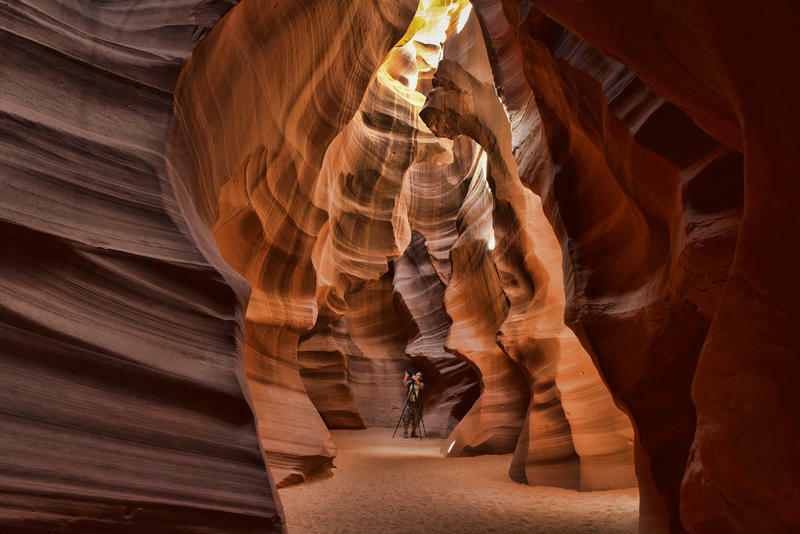 Although Antelope Canyon saw its fair share of tourists prior to the introduction of Instagram, it has the photo-based social media platform to thank for its influx of visitors in recent years. The old saying says, “A picture is worth a thousand words” and for Antelope Canyon, that is true. 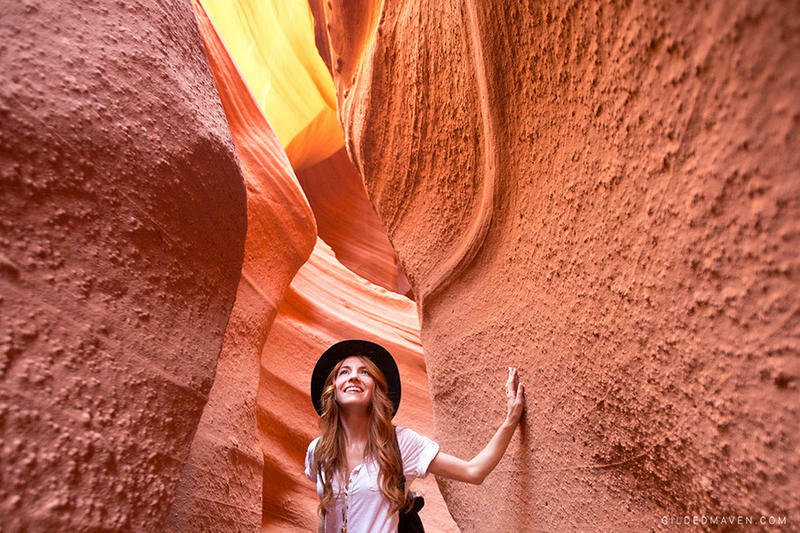 The stunning images being shared on Instagram and other social media sites helped to showcase the wonders of Antelope Canyon and propel the Arizona slot canyon to the top of many millennials' bucket lists.